Get an interesting and smooth ride on roughly surface road with the Suzuki APV 2012. 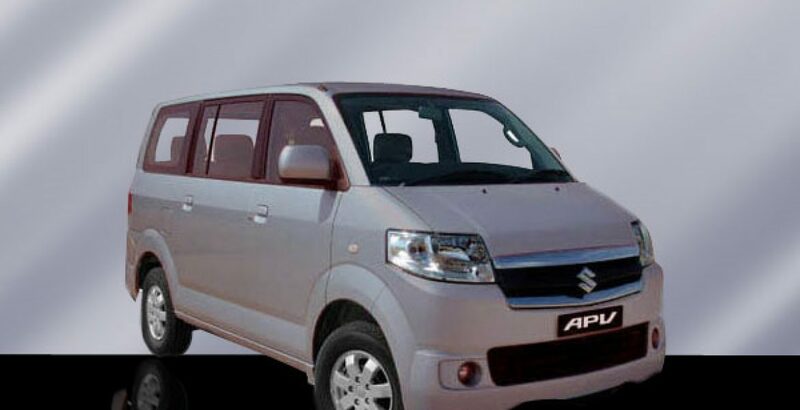 Suzuki APV Pakistan meets all requirements of commercial and personal usage. With the spacious interior and comfortable seats with options of armrest for the drivers and rear passengers, APV 2012 is an excellent vehicle. Roof top Air conditioning function provides excellent cooling to the driver and the passengers equally. Furnished with all elegant exterior and interior function this APV Pakistani van is also a fuel efficient. The Price of Suzuki APV 2012 in Pakistan is high as compared to Suzuki APV 2011 model. Turning out towards its new trims and some changed features in it, the new APV 2012 has changed exterior with outer front grille sleeker and squeezed than the older model, and the headlights are more advanced with dual fog lights and crystal headlights. Indeed, the entire outlook is just like a bulky giant with lots of power and energy. Its two trims APV 1.5L and APV 1.5L CNG are 99% same, just the inclusion of an extra CNG kit has been added to one of it. This added CNG has given boost to the entire market value of APV as it comes in company fitted gas kit with more genuine equipment than the ordinary one available in the market. With this you can improve the mileage and efficiency of the car. Most of the people in Pakistan are using APV for their business from one city to another. Drivers can easily take seven passengers quite easily from one place to another. Moreover, one can load lots of luggage on it. 2012 APV is a 5 Speed Manual transmission vehicle with total 46 Liter Fuel Tank Capacity and a low fuel warning lamp inside the speedometer to ensure amount of petrol inside the tank. Indeed it’s a full fledge vehicle imported from abroad to facilitate the people of Pakistan in a most fascinating way.